My mom took me to a Vidal Sassoon cutting specialist. I think I was six or seven. I was amazed. I knew that’s what I wanted to do. I quickly found out that I could do more than work behind the chair. Things like fashion shows, teaching and traveling were so important to me. I was Lead Hairstylist for Fashion Week San Diego, Educational Director for in-salon education and a guest artist at cosmetology schools locally and nationwide. 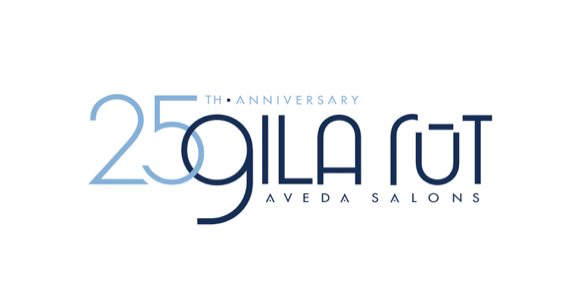 I was Lead Hairstylist and Co-director of Gila Rut’s latest hair collection. Single mom life! Roller skating. Beach. Painting. More hair, haha. Modeling. If you could do anyone’s hair, whose would it be? Have you done the hair or makeup of a celebrity? What the craziest thing anyone has said while in your chair? Oh god! You hear it all! Nothing specific comes to mind, but people tell you things they don’t tell their own family and friends. When I cut my client’s girlfriend’s hair, and she hated it. She told her it made her look more Chinese! It was the worst moment—so embarrassing for me and her girlfriend. I love change. I used to change every couple months. I’ve been every color and length under the sun and the moon. In Las Vegas, I did Penn’ s hair from Penn & Teller. The time has just flown by. I’m so proud of myself and the company for coming this far. I feel so blessed and lucky. Best decision of my career!